Host a Pit Stop and invite your campus partners to learn more about what your group is about. 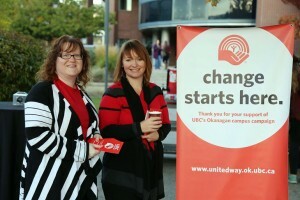 Departments or units willing to host a Pit Stop can collect donations for the UBC Okanagan United Way campaign. 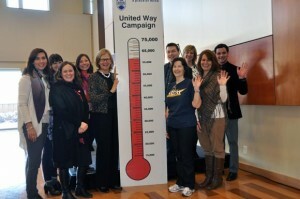 As of last week, the Okanagan campus United Way campaign had raised $19,906, and the contributions are still coming in. November promises to be another fun campaign month with two exciting events on campus. The UBC Okanagan United Way campaign started with a big week of events Oct. 5 to 8, including a barbecue hosted by the Students’ Union, a bake sale organized by the Faculty of Creative and Critical Studies and a book sale by the UBC Okanagan Library. 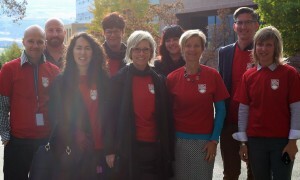 This year's UBC Okanagan United Way campaign kicks off on October 5 -- and campaign organizers need you. Join in a family-friendly baseball game for a great cause. 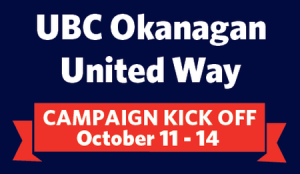 This year's UBC Okanagan United Way campaign kicks off on October 6th -- and campaign organizers need you. 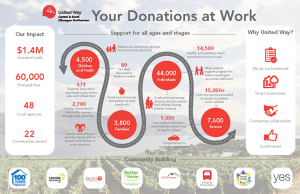 There were smiles all around on January 31 as Deputy Vice Chancellor and Principal Deborah Buszard announced the grand total to be donated to the United Way from UBC’s annual campaign.